What sets us apart in our practice? Only by starting at a different place can we expect to end at a different place. If we start with you, and your values and goals, what we end up with will only follow. Our clients generally come to us with a variety of goals, fears, holdings and previous advice, yet very few have a written financial plan that pulls it all together. And why try to pull it together if it isn’t driven from a person’s real values? That’s where we start. In fact, that’s also where we end up. Everything we do, at each part of the process and often for years after, we back-test against your values. Through warm, friendly discussion, we together determine the things that really matter to you. Once we have a good idea of where you are today, we go to work on your behalf, designing a road map to lead from present to future with confidence. Our work is written in customized reports that are tailor-made for you. We review the reports together and answer any questions that arise. Often, we end up re-writing parts of the report based on further feedback from you. Finally, a checklist is presented with priorities noted to enable sure implementation of the desired results. But our job doesn’t end there. With scheduled follow-up meetings, by phone and in person, we keep the plan current to keep you on your path. Mike has been working as a professional advisor since June 16, 1986. Mike grew up in the Fredericton area. He went on to attend UNB in Fredericton as well as UBC in Vancouver. Obtaining two degrees (BPE Rec. & B.Ed. 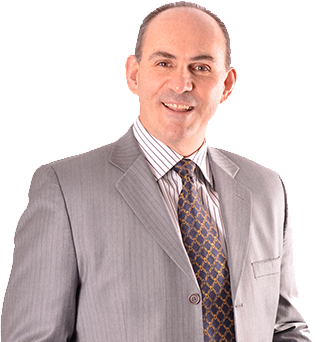 ), Mike has remained a lifelong learner and has obtained several financial designations CFP (Certified Financial Planner), CLU (Chartered Life Underwriter), ChFC (Chartered Financial Consultant), and still attends financial seminars and other personal growth symposiums on a yearly basis. Mike was fortunate to have been born with natural athletic ability. This allowed him to play many sports at regional and national levels, activities that have served him well when he decided to go into business for himself. Over the years, he has coached many of the kids in the neighborhood and around the City of Fredericton, recognizing a desire to give back. Mike loves to listen to peoples’ stories and is excited to hear about their future endeavors. He cares for people and their families and understands many of peoples doubts and preconceptions. Rick was born in Regina, but he grew up in Fredericton. 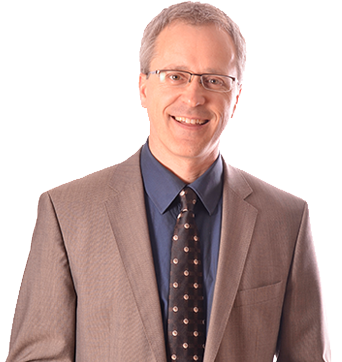 He studied Civil Engineering at UNB (1989) and completed a Master’s Degree in Environmental Engineering in 1991. With his wife, Carolyn, they lived and worked in Estonia, Chile and Toronto, finally settling down in Fredericton in 2001 where they raised their two sons, Alex and Joey. Rick’s work as an engineer always tended toward technical sales and business in general. This business acumen eventually led him to focus completely on finance. Starting in 2003, he began to work as a financial planner, and in 2009, he partnered with Mike Washburn so they could together build Washburn Financial. Rick uses his technical and analytical skills to engineer our reports. This is something that also sets us apart from the usual planning firm. Rick enjoys playing hockey, cross-country skiing, cycling and kayaking. When not at work, you can often find him at his cottage where he is always building something. Whenever he can he travels the world, living in a continual pursuit of adventure. But most of all, he loves his wife and sons. Being with his family is his greatest pleasure. Lori Washburn, B.B.A; B. Ed. Our work is written in customized reports that are tailor made for you. We review the reports together and answer any questions that arise. Often, we end up re-writing parts of the report based on further feedback from you. Finally, a checklist is presented with priorities noted to enable sure implementation of the desired results. But our job doesn’t end there. With scheduled follow-up meetings, by phone and in person, we keep the plan current to keep you on your path.